Excellent opportunity in Gaiser Holly Ridge and Cherry Creek Schools! Large 4 bed/ 3 bath 2-story with just under 3300 total square feet. Main floor with large kitchen with eating space, hardwood flooring, family room with wood burning fireplace & built-ins, large living room with sliding door to back yard patio, & main floor home office or dining space. 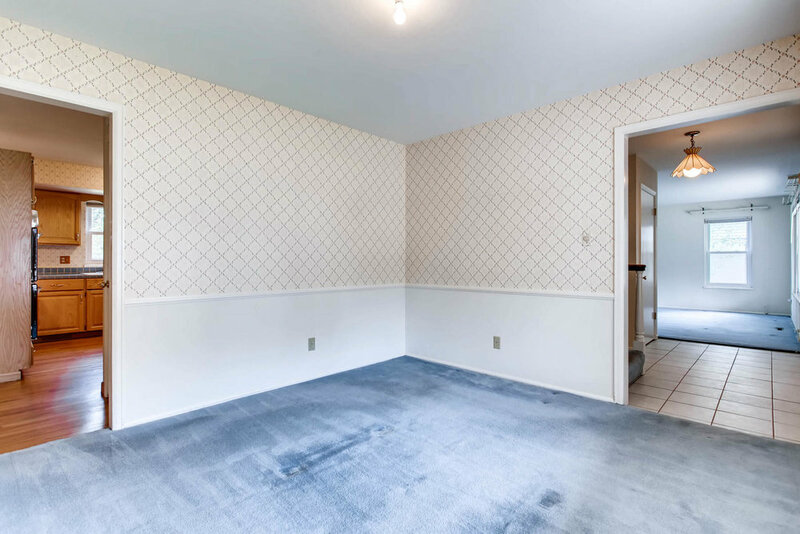 Large basement with rec room & bonus room that could be used as a 5th (non-conforming) bedroom. $20k was just put into the home in late 2017 with new Presidential shingle roof, gutters & exterior paint. Upgraded double pane windows. Central A/C. Large fenced back yard with sprinkler system. 2 car attached garage. Great opportunity for buyer to update & gain instant equity (a similar 2-story in neighborhood (3217 S. Leyden St.) recently sold for $665k w/399 smaller total square feet!). This home is clean, well taken care of & has great bones. Excellent neighborhood & schools. Close to I-25 access, Bible Park, Southmoor Park, King Soopers, Whole Foods & much more.